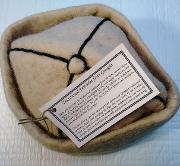 The beret as we know it today has it's origins in the French Béarn, but the beret has been invented many times over. 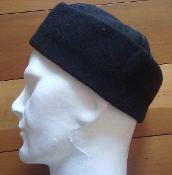 The old Greeks wore hats that resemble berets in a variety of colours; Roman legionnaires wore beret-shaped brown woolen felt caps and the Macedonians wore the kausia, again a very similar hat to the present day beret. 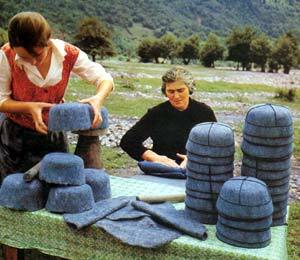 Moors, Albanians and Azeris had their own kinds of felted hats and many more examples of beret-like hats can be found on Sardinia, in Denmark, Austria and many more places where people kept sheep and needed protection from sun and cold. 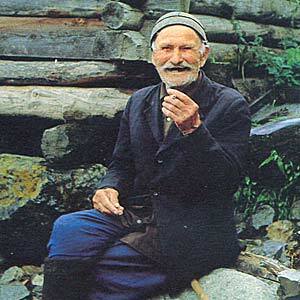 Mostly, these hats were made and further developed by mountain people, shepherds herding their sheep on high mountain pastures, spending weeks and months on end in isolated huts during the nights of the grazing season and keeping themselves occupied with knitting and felting wool. 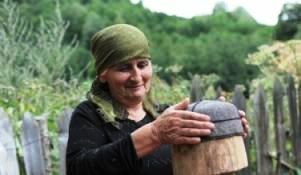 The traditional felt hats from Georgia, generally referred to as "Kakhetian hats", are really from Tusheti, a small and almost inaccessible region in the high Caucasus Mountains, bordering Chechnya and Dagestan in the north and Kakheti in the east. 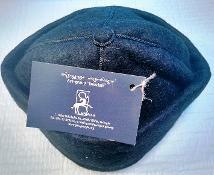 Unchanged for many centuries, these hats are still made according to local tradition and with skilled craftsmanship. 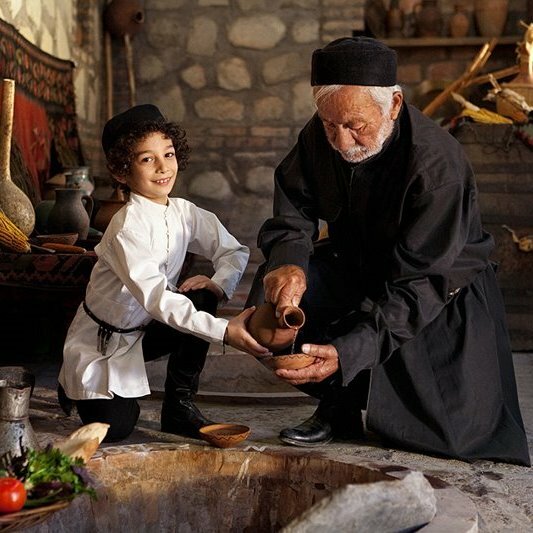 Hats always were the most important element of traditional Georgian garments. Apart from everyday use, these hats were worn by warriors under their steel helmets, to soften the blows by swords. These Kakhetian felt hats are made from hand-pressed heavy felt and decorated with a cross shaped string - not a Christian symbol, but from a much older pre-Christian period, symbolizing the connection between humans and the universe. 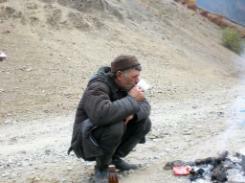 Untreated, natural wool, available in white and black. 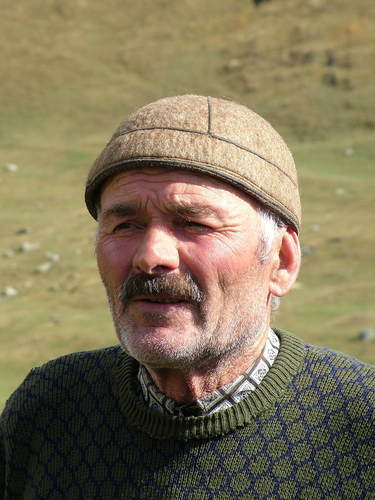 The Svanetian Felt Cap is the traditional hat in the Svanetia region of Georgia; one of the most inaccessible mountain areas in Europe. These skull cap like hats sit on the top of the head, just covering the crown. 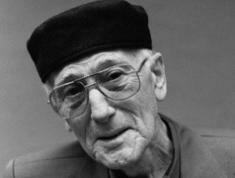 If you prefer to pull the cap over your head, choose a size larger than your regular size.